Authorized MotorGuide warranty service and repairs since 1994. Our goal is to get you on the water ASAP! 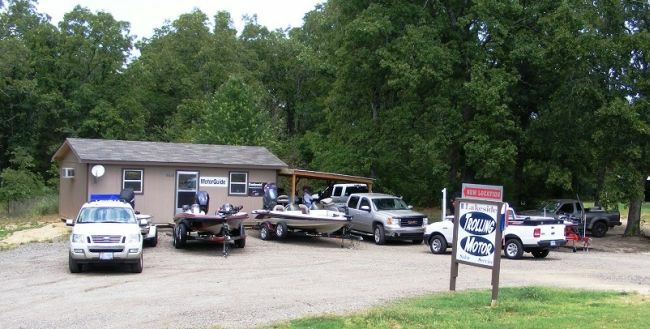 Lakeside Trolling Motor is located at Lake Fork, Texas and is here to help with all your trolling motor needs. Repairs: whether it be a bent shaft, an electrical problem in your motor, water in the lower unit, a cable issue, or you just need a part, our experienced tech will have you back on the water in no time. We are an authorized MotorGuide Service Center. We also do repairs on Minnkota and all other makes and models of trolling motors. Sales: We sell all makes and models of trolling motors. We are an authorized Lowrance Electronics service center. We also sell Lowrance Electronics products, such as Fishfinders, transducers, and accessories. Lowrance products are protected by a one- or two-year limited warranty (depending on the product), and supported for an additional three years by the Lowrance 5-Year Advantage Program, which allows customers to upgrade to the latest technology, at a discounted price, in the unlikely event that a product fails or needs repair. PLEASE FEEL FREE TO STAND IN FRONT OF THEM! !